TroxFire Training Solutions, LLC features the TruForce Forcible Entry Training System. Utilizing a patented design, it enables firemen to force a door over and over without damaging the door. Our system installs on any existing door in YOUR firehouse and basically modifies it so that it can withstand thousands of forces. We also feature a free-standing unit/portable TruForce Forcible Entry prop, the ForceWedge, the original aluminum forcible entry wedge, as well as many other products and attachments. Training courses and consulting services are also available. Please call or email for details. Daniel M. Troxell, a 41-year veteran of the fire service, is a captain in the Washington, D.C. Fire Department, where he has served since 1985. He began his fire service career as a volunteer firefighter with both the Ft. Washington and Edge Hill Fire Companies in Montgomery County, Pennsylvania. He served as a volunteer and career firefighter in Prince Georges County, Maryland, starting as a volunteer with the College Park VFD. 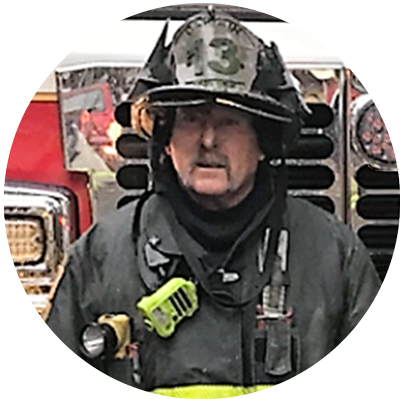 A Pro Board Certified Level III instructor, he serves as an adjunct instructor with the DCFD Training Academy, and has developed and instructed courses for in-service company training as well as for probationary firefighter training. He has written several articles for Fire Engineering Magazine, as well as articles for FireNuggets.com and Firehouse.com, and serves as a classroom and HOT instructor for the Truck Company Essentials class at FDIC. Married with five children, he holds a Bachelor of Science Degree in Fire Protection Engineering and a Master of Science degree in Applied Management, both from the University of Maryland at College Park.